Here’s a list of a dozen fun things you can do along Fort Worth&apos;s Trinity Trails. 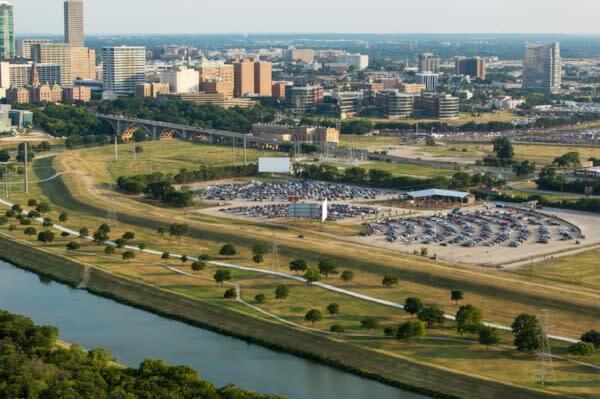 From downtown, follow Taylor Street north to the Trinity River. You’ll find Panther Island Pavilion. There’s always a lot going on here. On Sunday Fundays during the summer, you can rent a tube and chill on the river, plus enjoy cool beverages, food truck grub, and even yoga. The waterfront stage also hosts the Rockin’ The River concert series held Saturdays July 7 - August 11, with periodic festivals and other music events in the mix, too. Backwoods Paddlesports at Panther Island Rentals is part of the pavilion setup, allowing you to rent paddle boards, canoes and kayaks to explore the river. They also offer group canoe tours. You can earn an extra hour rental of equal or lesser value if you fill up a 30+ gallon bag with litter from the river. 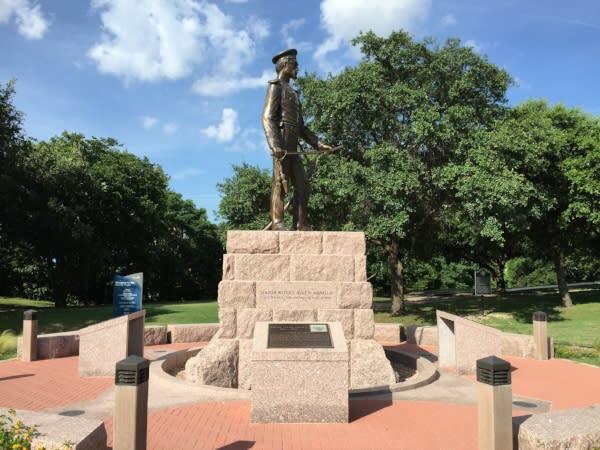 A statue of Fort Worth’s founder stands next to Panther Island Pavilion. Be sure to pay your respects and learn about the city’s founder (who rode his share of trails, no doubt). 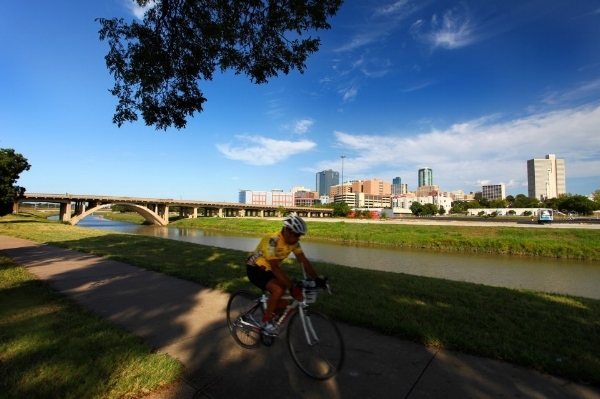 Fort Worth offers some 70+ miles of continuous paved trails for getting some exercise or just a pleasant stroll. Dogs are welcomed as long as they’re on a leash. You can use the paths to explore the city and access the other venues on this list. 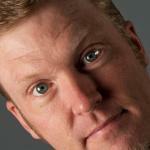 Read up on the latest trail updates here. 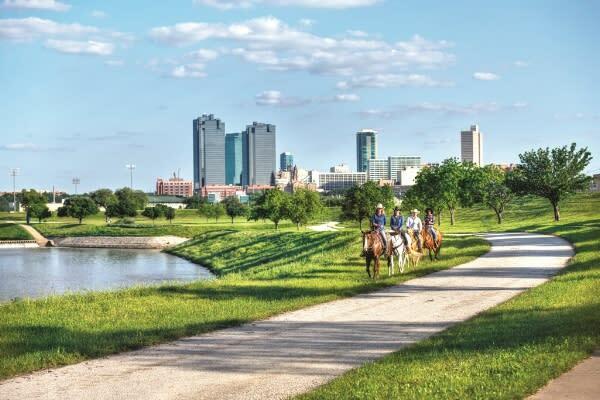 You can check out the river 19th-century style on more than 40 miles of equestrian trails. Four trailheads offer parking space for horse trailers. 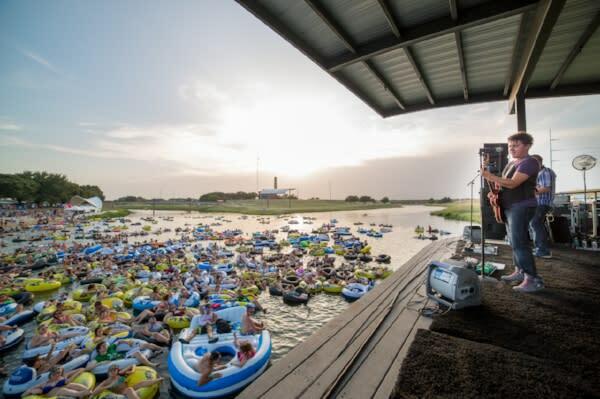 A little ways northeast of Panther Island Pavilion, you can watch movies from your own car. Coyote shows double features every night, and, yes, you can ride your bike (or horse) to the venue - they have standalone speakers waiting for you (cars use their FM radios). Riding trails and enjoying the outdoors is thirsty work. Luckily, Panther Island Brewing sits close to the river near Coyote Drive-In. The taproom is open Thursdays - Sundays. Where the river passes underneath University Drive, you’ll find good eats. Chef Tim Love opened the Woodshed Smokehouse a few steps off the trail serving all things grilled, roasted and slow-cooked. 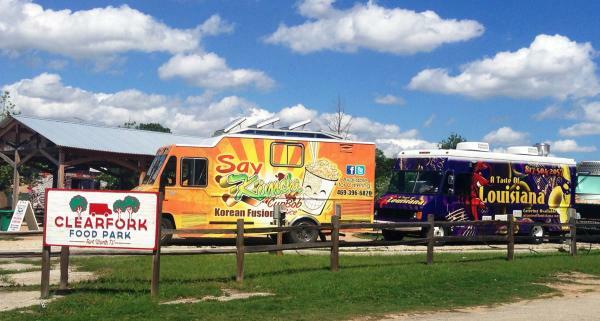 Less than a mile down the trail, stop off at the Clearfork Food Truck Park for even more variety perfect for both you and your four-legged friend. If you want a break from riding/walking, or just want to sit and watch other people exercising, check out this collection of food trucks less than a mile from Woodshed Smokehouse. You can bring your dog, too. The establishment offers live music and have beer and wine for sale. They’re open Wednesdays through Sundays. You can use the trail to access some of Fort Worth’s signature attractions like the Zoo and Log Cabin Village. 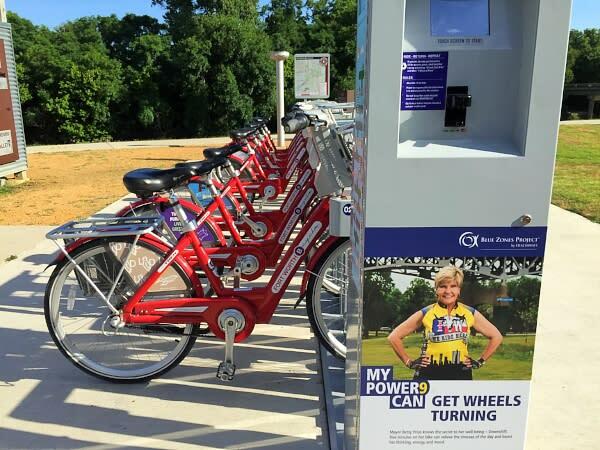 Riding your bike - or renting a from Fort Worth Bike Share - is a great way to avoid parking fees and traffic. Exit the trail at University Drive to reach them. 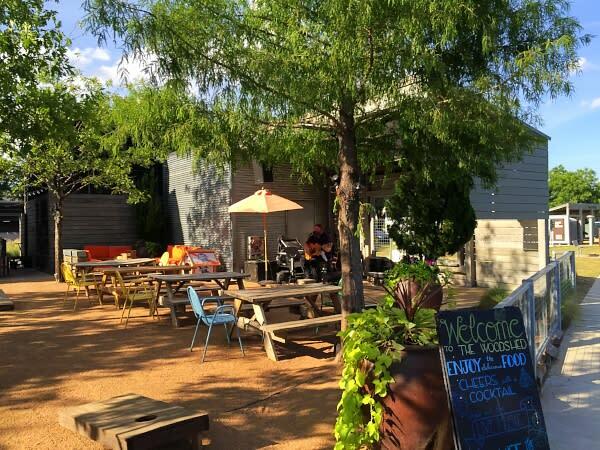 Just east of Bryant Irvin, by the Chisholm Trail Parkway (yep, named after a trail), you’ll encounter a hub of activity. Saturday mornings, you’ll find a farmer’s market and free fitness classes. 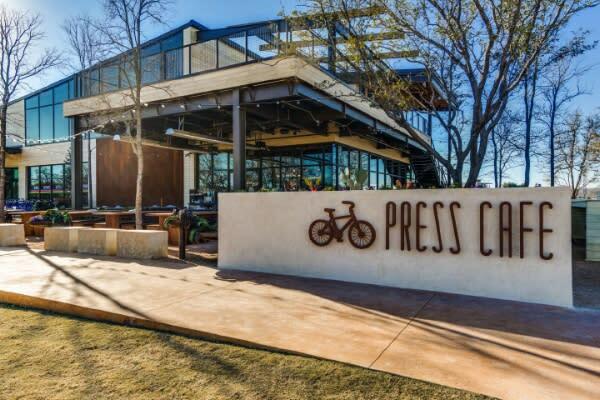 Get a new ride at Mellow Johnny&apos;s Bike Shop or fuel up for a trail excursion at Press Cafe. Cachers have stored a number of geocaches along the trails. The TRWD Trinity Trails Geocaching Adventure GeoTour lets you seek them. The boxes are well-distributed throughout the city, so this activity provides a good excuse to explore spots you’ve never been.